Class assignment: make the sphere-with-shadow (posted by FAUXreal, currently being beaten to death on dump) move up and down the skateboard ramp. 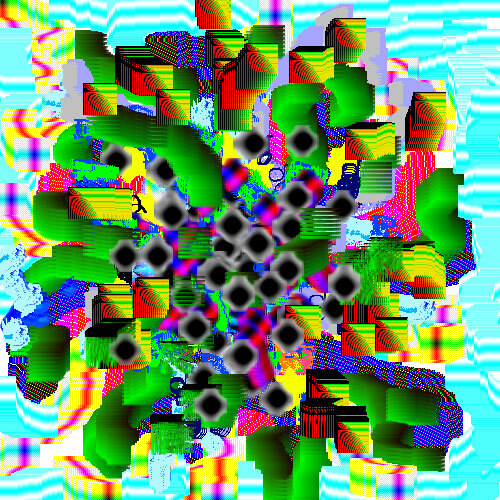 Originally I had six frames, made in MSPaint using cut-and-paste, but the sphere went double as it moved (even more than now). Am not using any tweening so the in-between frames had to be done by eye [ironic exclamation point]. Increased the frames to eight; a few had to be redone until the motion was smooth. The sphere now has a slight arc, but the motion of the shadow moves in a straight line. A more realistic animation would increase the diameter of the shadow as it moves to the right. Twitter is "cooler"? Well, maybe five years ago. Soon the only people left on Facebook will be grandparents and the net art community. The latter joined in droves from 2008-2012 and got some crazy ideas about the significance of the move. The Brad Troemel "like economy" of cultural determination will continue to thrive in his mind, where it always resided. Ryder Ripps will hold art fairs elsewhere (or booths, whatever he did down in Miami). Hrag Vartanian might reconsider the relevance of an exhibition called #TheSocialGraph. No teens, no scene. My contribution to the wendypaint.com genre (or as dumper "peggy" calls it, wendyvanitypaint). On the minus side, these rubber-stamp or photoshop-brush style brushes are awfully clumsy. I searched for a way to shrink them to pencil width for some finer lines but couldn't figure out how to do it. Various dumpers were playing around with Kim Asendorf's wendypaint.com website, created for The Wrong digital biennale. It's a pixel-y art platform where you can "make brushes" out of images or icons and drag them around to leave MSPaint-like trails. 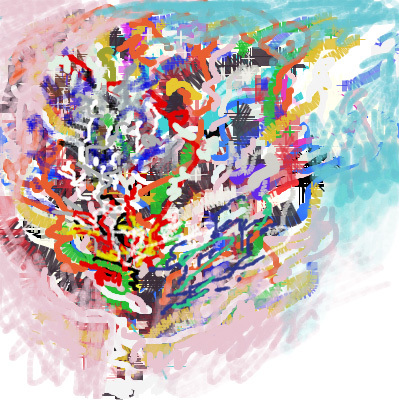 It reminded me about canvas painter, which I hadn't used in a while. With wendypaint, Asendorf adds the all-important social dimension in that a community develops of wendypainters all sharing and archiving their drawings. This increases the likelihood of coverage on the "art and technology" websites, and of Asendorf being praised for circulationism, dispersion, and all the rest of that social utilitarian rhetoric. The modest little canvas painter, while more "open source" than Asendorf's project, nevertheless lacks "social," bringing it closer to the dreaded hermeticism, that bugbear of new media prognosticators. Years ago I said Nasty Nets wasn't really social, because people just posted stuff and didn't talk about it all that much, which drew the ire of Marisa Olson, who informed me that all manner of back channel discussion was happening about Nasty Nets posts via chat and email (that implicitly, I had been excluded from -- nice).